Until February 2015, no initiatives to measure fine particulate matter up to 2.5 microns or P 2.5 were being taken in Gwalior, say city-based environmental experts. Measurements taken in the last two years show that P 2.5 is above the permissible limit in the city – in the range of 67 to 83 micrograms per cubic metre–which is harmful to people, says Prof Anil Kumar at the Madhav Institute of Technology and Science. According to the national ambient air quality standards, the 24-hour average of fine P 2.5 particulate matter should not be beyond 60 micrograms and the annual average should be less than 40 micrograms per cubic metre. A multitude of factors could be contributing to pollution in Gwalior, including less greenery, less cohesive soil, high traffic density in some areas among others and fine particulate matter has two sources–dusts emanating from ground and vehicular exhausts, says Saxena. “Silty clayey yellow soil, which has less cohesive power, results in less root density in the soil emanating dust from the ground in the city,” he says. He further says that if authorities want to lessen the particulate matter, they will have to go for a campaign to add more greenery in the city, especially small plants and grasses that have high root density, which withhold the less cohesive soil. Gwalior topped the Central Pollution Control Board’s list of most polluted cities last year in the country in terms of particulate matter and also featured in the World Health Organization’s report in 2014 that placed Bhopal as the 13th of the 20 most polluted cities in the world. Gwalior topped the list of most polluted cities in the country in 2015 in terms of particulate matter P10, according to data released by the central pollution board in 2015. Against the permissible limit of 60 micrograms per cubic metre, PM 10 in Gwalior was 329 micrograms per cubic metre, which is more than five times the permissible limit. Gwalior regional officer of the Madhya Pradesh State Pollution Control Board NP Singh says it is comparatively easy to find the reasons behind the cause of the P10 particulate matter. “But when it comes to the finer P 2.5 particulate matter, it is not that easy to know its cause,” he tells Hindustan Times. 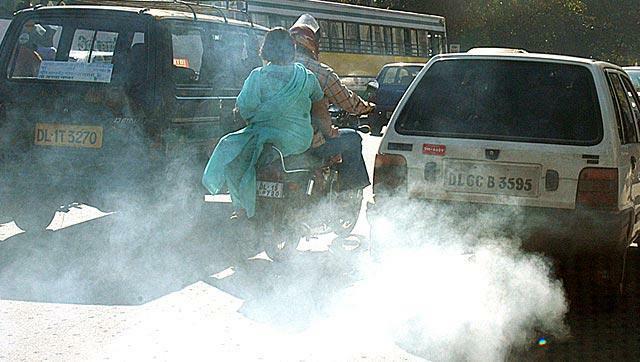 “The higher P2.5 in Gwalior could be due to the exhaust emissions from the large number of vehicles playing on city roads could be a major contributing factor in P 2.5 pollution. Other factor could be the dust kicked off from roads,” he says. He further says that a number of efforts have been taken up by the district administration in last two years to check the particulate matter pollution in the city. In case of P10 particulate matter, the situation has improved in last few years. P10 started to increase in Gwalior from 2009, peaked around 2012, after which the pollution levels started declining, says Singh.